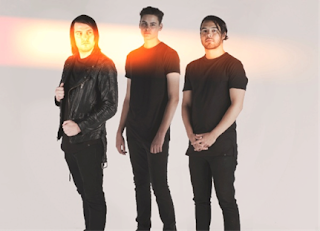 RockChickenz: DAYSHELL REVEAL NEW SONG "IMPROVISE"
DAYSHELL, featuring Shayley "Dayshell" Bourget, formerly of Of Mice & Men, can now reveal the new song "Improvise”. Listen HERE. "Have you ever been in a relationship with someone and there comes a time and a place, where you have to give up on it... for them? It's about giving up to give in," said Shayley about the song. DAYSHELL will release their second album Nexus on October 7 via Spinefarm. The band also dropped the brand new song "Car Sick." Fans who pre-order the album will get both "Car Sick" and "Improvise" as instant grat tracks. The band is also touring the US this September and October with I The Mighty, Artifex Pereo, and Picturesque.